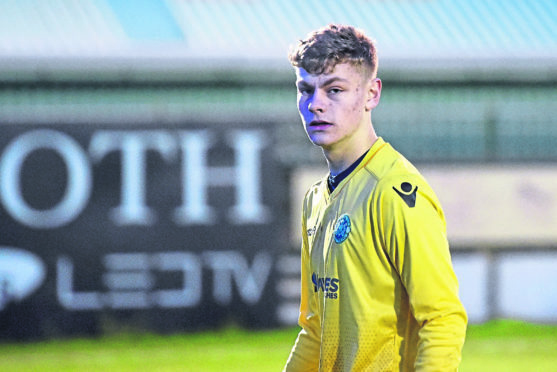 The Jags number one, who turned 18 earlier this month, made his Scotland debut in the opening match of the Centenary Shield on March 7, which was a 1-0 defeat in Northern Ireland. England were beaten by the same scoreline against Wales the following night so it’s all to play for now. Herbert said: “I would love to play for Scotland, especially as the match is up here in the north-east and my friends and family will be able to watch. “It is the big derby match and everyone is looking forward to it. “Our coaches have done their homework on England. After suffering a defeat in Northern Ireland, Herbert knows it is imperative the Scots bounce back with a victory this evening. He added: “There wasn’t much between us and the Northern Irish lads on the night, although they were very big physically compared to ourselves. “That was our first competitive international and I think we learned quite a bit about the pressure of playing on the big stage that night. “Harlaw Park is a grass pitch and quite a bit tighter than the massive artificial pitches we are used to playing many of our games on.